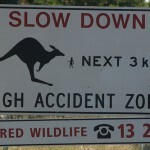 For years I’ve wondered why entrepreneurs don’t set up kangaroo ranges around the country. Now they are starting to. 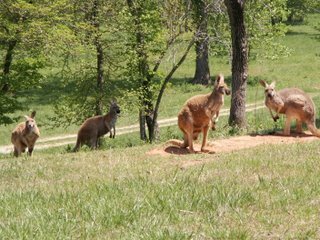 I visited the Kangaroo Conservation Center outside Atlanta last year. It’s a bit of a stretch to call hauling kangaroos thousands of miles from their natural habitat to live in a fence visited by tourists “conservation.” But it’s a fun visit just the same.Now there’s a another kangaroo hot spot: the Roo Ranch in South Dakota.The ranch made it into the news when one of their wallabies briefly escaped at the airport.I haven’t visited–yet–but they seem to be a little bit smaller and less programmed than Atlanta’s Kangaroo center. Admission is only $15, but they do seem to count on making a lot of money off getting your picture taken with a kangaroo–kind of low rent like an amusement park. Kangaroo Conservation Center, Dawsonville, GAOn a farm 90 minutes north of Atlanta, hundreds of kangaroos hop in fields as if they were in their native Australia. The “Conservation Center” is the largest outpost of kangaroos outside Australia and a major source of zoo kangaroos. 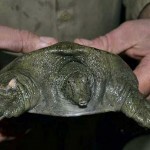 How much conservation is really on any one’s mind is a big question. People come because it’s fun to see herds of kangaroos on American soil, some up close. You’ll start out seeing an Australian greenhouse full of birds and tiny rat kangaroos. Then it’s onto a tram tour, where you see three kinds of kangaroos behind tall chain link fences. 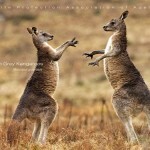 Most kangaroos here happily live in natural social groups and with minimal human interference. After that there’s barn show, where you’ll get close to the tamer kangaroos and other Australian animals. You’ll learn, for instance, that their pouches aren’t as big and open-hanging as the cartoons make you think. Afterwards, you can walk among the kangroo pens or see some other animals. Don’t miss the Dik-Dik, an African antelope who wants to mark you with a tar-like substance from a gland under his eye.